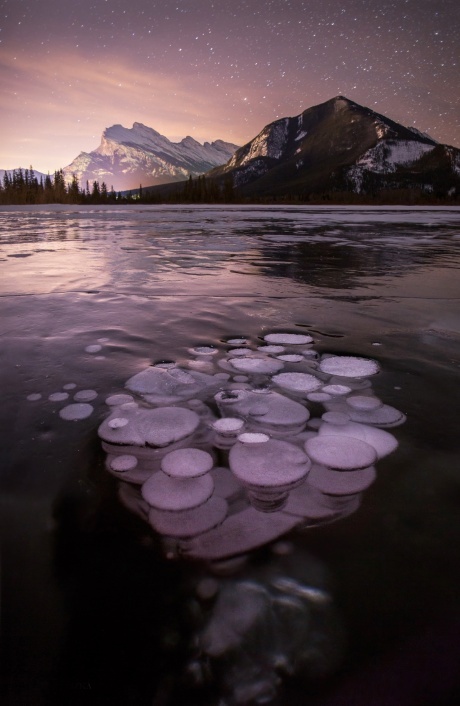 DURING AN outing to Banff National Park, Canada, photographer Paul Zizka got the chance to capture an impressive phenomenon. 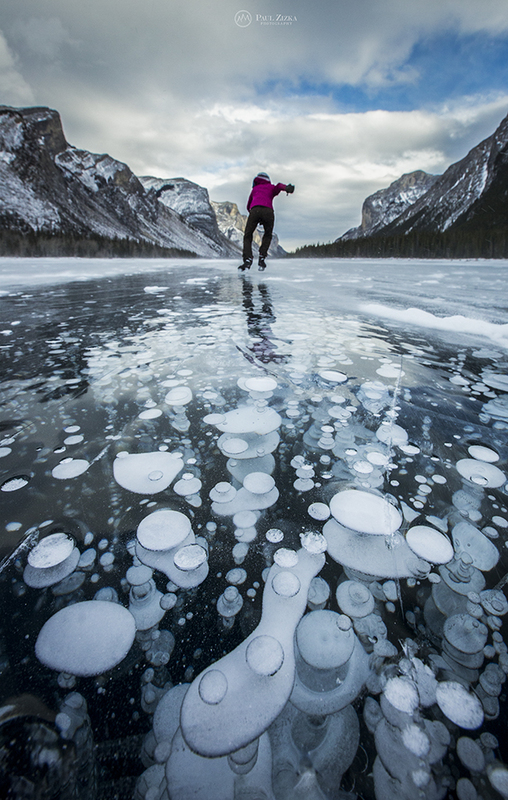 While skating on Lake Minnewanka, the Vermillion Lake, and Abraham Lake, Zizka noticed methane gas bubbles trapped under the ice. The photographer had observed them before, but “some years they freeze better than others. This year they seem to have an amazing amount of detail to them”, Zizka explains to the CBC. 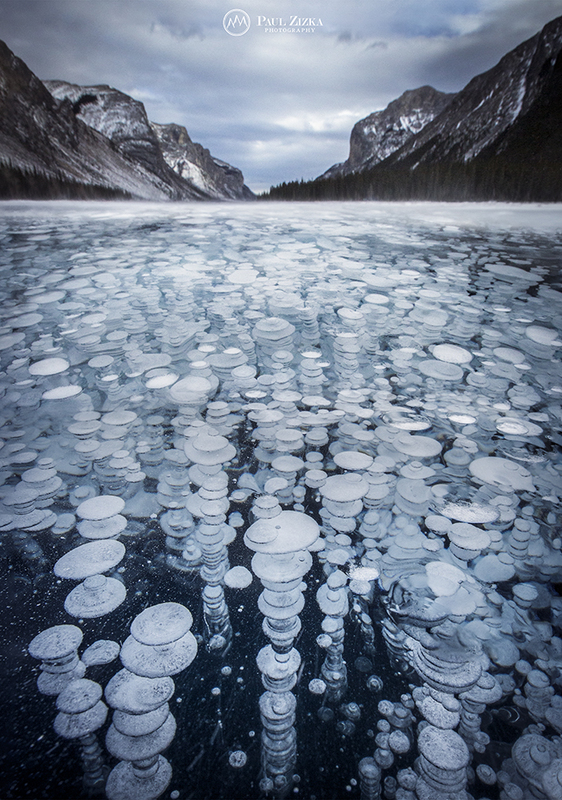 The low temperature in this part of Alberta in winter froze the bubbles that usually break when reaching the surface. 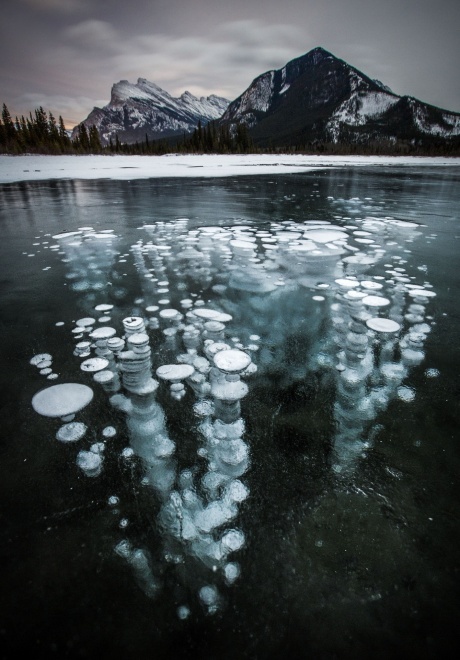 Although they are filled with fammable methane, the bubbles are not dangerous if not lit. 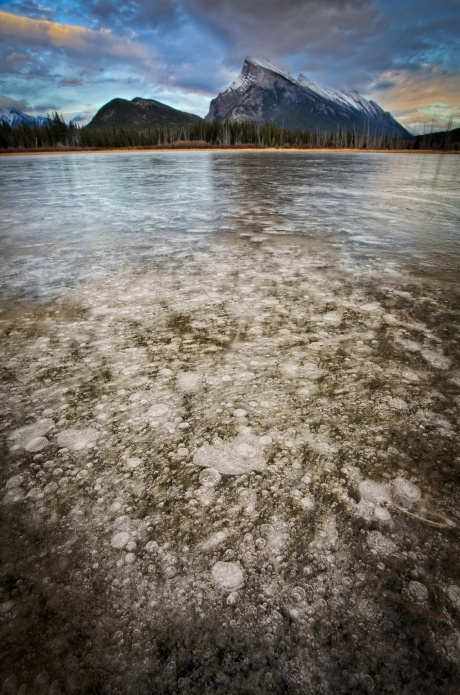 For more of Zizka’s work, visit his website here.